Above, the Mistics from the Charles H. Milby High School in Houston, Texas. 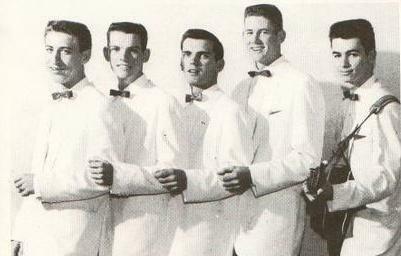 formed by (L. to R), Ray Vaughn, Jerry Simmons, Neal Seymour, Buster Sullivan and Tommy Thompson. -Memories / Without Love (There Is Nothing). 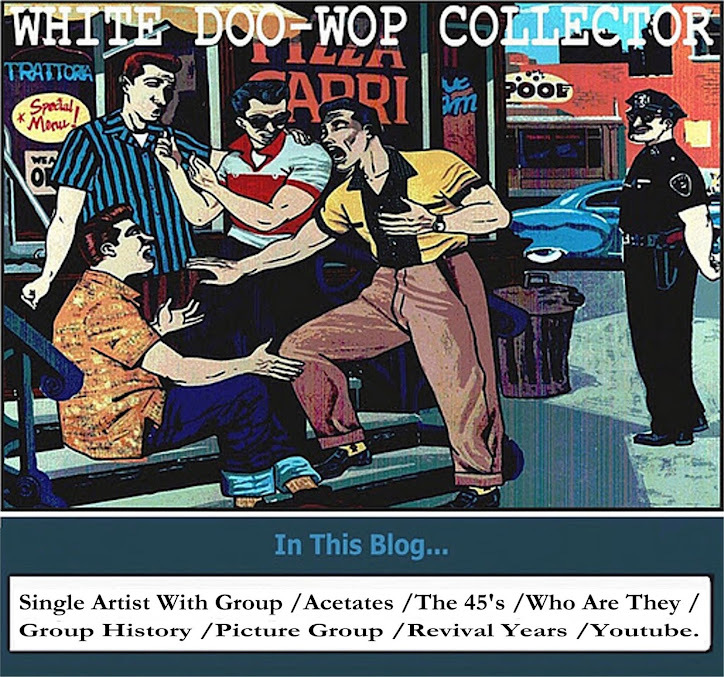 The Complete Book of Doo Wop dated this recording from 1963. 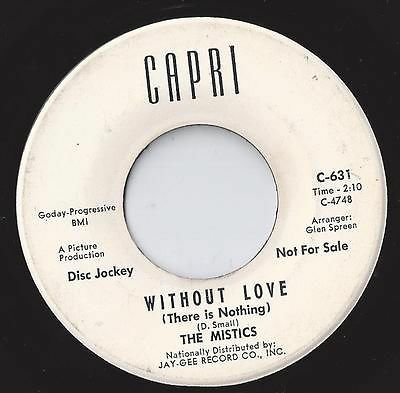 B side, original by Clyde McPhatter was a big hit in Houston (#2) and California (#1). When the original Mistics graduate, emegerd a second Milby's, Mistics group formed by Charlie Smith, Wally Sisk, Joe Simmons and Sonny "Clyde" Jones", see below picture. -You'll Be There / What Happened to Saturday. Kirk records-1964. 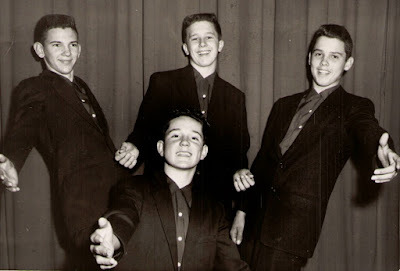 If anyone have more information about these two formations and the two songs on Kirk records, please write me.